Another gorgeous merletto fruit but this time an apple made by Michael Hunter for Twists Glass in 2016. 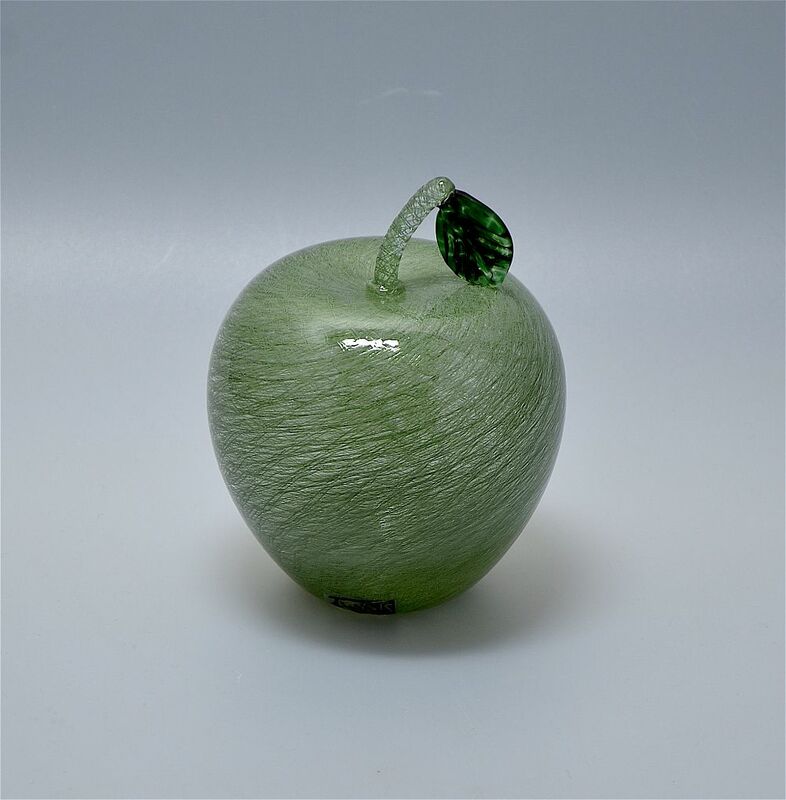 The apple is hollow blown of green merletto canes with a green merletto stem and a mottled green glass ridged leaf. the base is scratch signed "M Hunter Twists 16 Merletto Fruit" and has the Twists Glass studio label.